Browse our range of chef skull caps available in a range of colours and sizes from Pattersons Catering Supplies. The perfect headwear for the modern chef, skull caps offer a more contemporary option and are a great alternative to traditional chef hats. 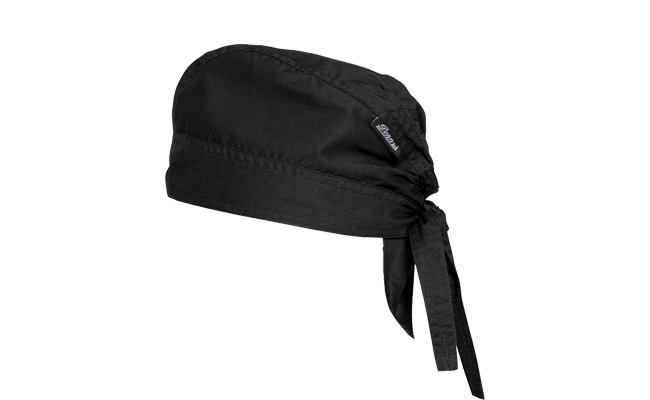 Ensuring the wearer is protected and their hair is covered, while still extremely comfortable to wear. This range of chef hats includes skulls caps with coolmax technology, which works by drawing moisture away from your body; it dries faster than other fabrics to keep you cool, dry and comfortable in the kitchen. Perfect for a hot, professional kitchen. Buy chef skull caps from Pattersons Catering Supplies from our range of chef hats and chef clothing. We stock a wide range of chef wear to ensure a professional or trainee chef have everything they could need. If you have any questions about the range of chef skull caps or chef hats we stock at Pattersons Catering Supplies, do not hesitate to contact our customer services department on 0117 934 1270, or email us on web@pattersons.co.uk. FREE UK delivery is available on chef clothing, chef hats and more!